Military developer Northrop Grumman has a dream. A dream to create proper rayguns. A dream we would happily fund by paying extra tax and posting it off to the American government should it be able to pull it off. 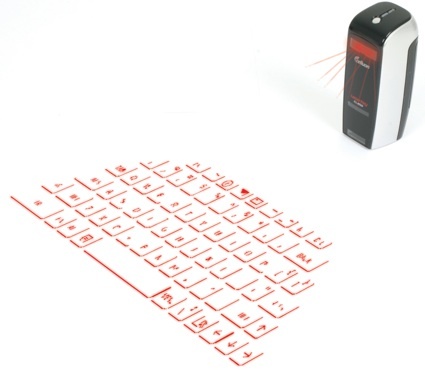 Maplin has announced the availability of its Bluetooth Laser Key Projection Keyboard, a gadget that will project a keyboard onto any flat, non-reflective surface and allow you to type. It works by optically tracking finger movements, and incorporates both keyboard and mouse functions. Maplin claims that it’s comfortable to use, and reduces the wrist strain associated with using a standard keyboard. The keys are also projected larger, which is supposed to assist faster, more accurate typing. 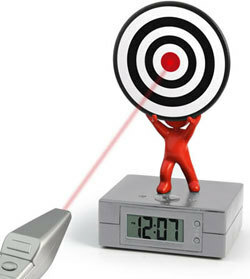 Dragging yourself out of your pit is never a pleasant prospect – but the Laser Target Alarm Clock could add a bit of fun to the experience. Wicked Lasers&apos; wicked Photonic Disruptor laser is, well, wicked. Innit. Fancy a LASER BEAM with your, err, laser?